Heya humans! How are ya doin’?!?! I’m doin’ great and I’m excited ’bout some stuff I want to tell ya ’bout. First, I found out I getta go to a satellite on Friday, September 4 at Tail Waggin’ PetStop for First Fridays in the Crossroads! This is me hangin’ out with my buddy, Jai! So, the nice human lady who takes pictures of ALL of the dogs and cats here at HSGKC did somethin’ special for me… see Jai told Jana that I REALLY like playin’ in the kiddy pool! I LOVE splashin’ ’round in it, jumpin’ in, stickin’ my whole face under the water, then gettin’ up and runnin’ towards a human, shakin’ off when I’m right by them and getting’ them all wet, too! When our humans watch me play in the pool, they laugh and smile a lot ’cause I’m havin’ such a good time! 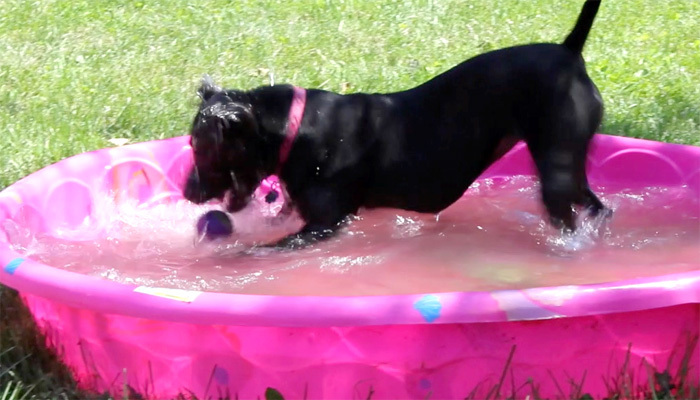 Anyways, Jana made a video of me playin’ in the pool, so you gotta check me out! I think I look pretty cute, too, and it shows the real playful side of my personality! I just getta run ’round, play, and do what I want and just have FUN! Throw a ball in the pool and I just can’t resist jumpin’ in! I heard Jai, Pete and Christine talkin’ ’bout the BEG Program thing, and I’m gonna start some obedience classes soon. I know I gotta work on some “manners” a lil bit so I make an even better impression on humans than I already do! I know “sit” and I’m gonna learn some new stuff, and how to walk real nicely on a leash (I’m pretty good… unless I really wanna smell somethin’ or if I see a cat… then I pull a bit, which I know isn’t the most polite thing to do when I’m on a walk, but I’m just SO excited ’bout some stuff, I can’t help it!!!). 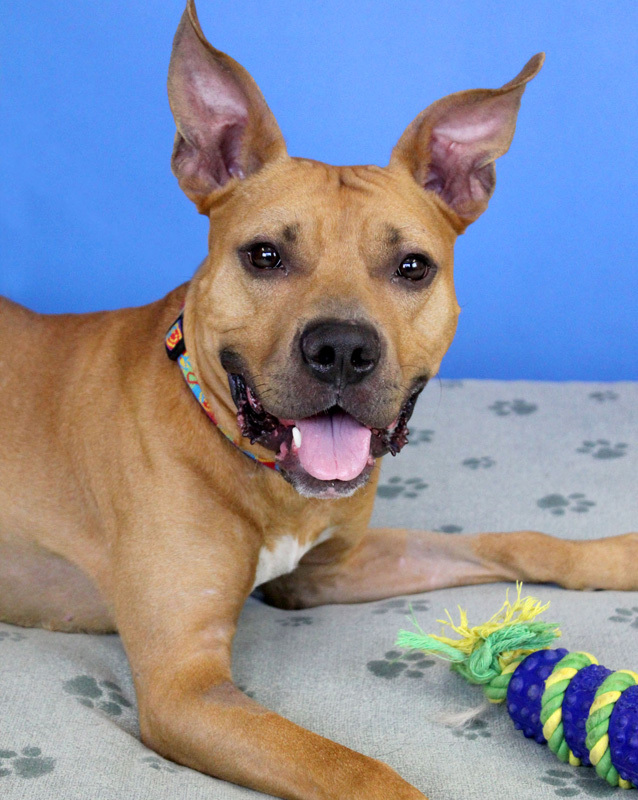 Don’t tell, but I’m kinda lookin’ forward to learnin’ new stuff… I wanna find a forever home, and if I know more stuff, maybe I’ll find a forever home of my own before too long! 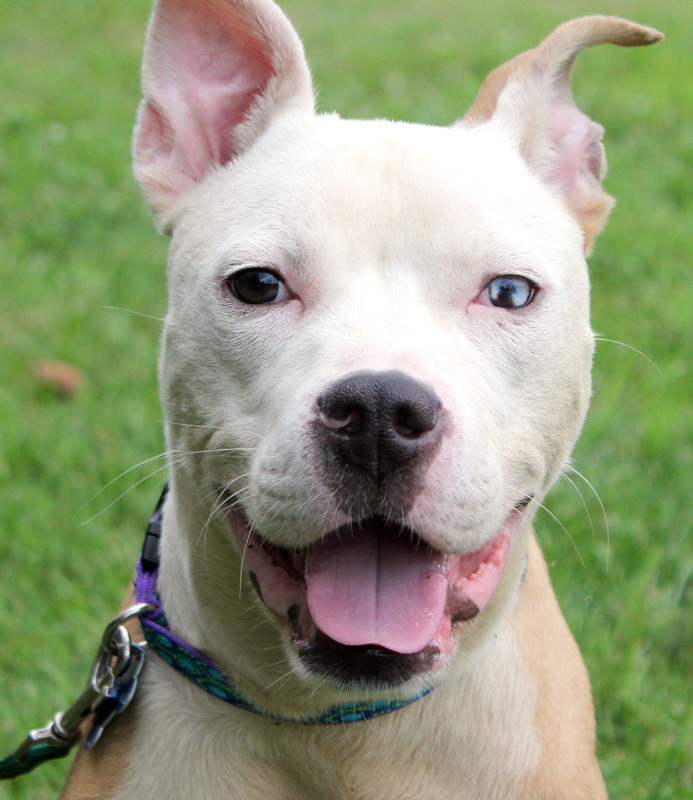 I heard Farley and Roxy are goin’ to their forever homes soon, so I’m hopin’ I find mine too! I gotta go, it’s time to go play with Skye! 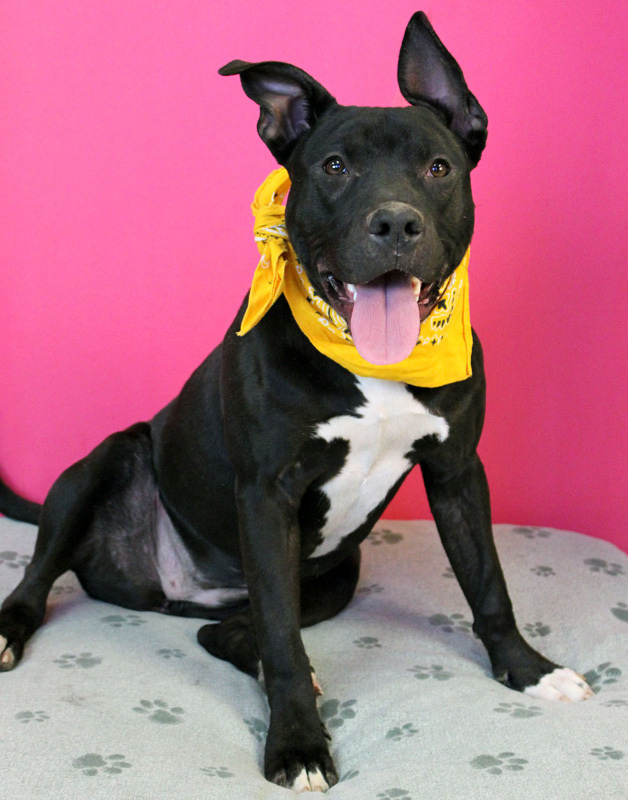 I really hope I getta meet ya at Tail Waggin’ PetStop… we’ll be there from 6-8 p.m. Oh, and don’t forget, if ya want to know more ’bout the satellite, me, and ’bout our adoption process, check out hsgkc.org. Bye!! !